Don’t miss this awesome freebie – three styles of Sant’Elia Script from Yellow Design Studio. 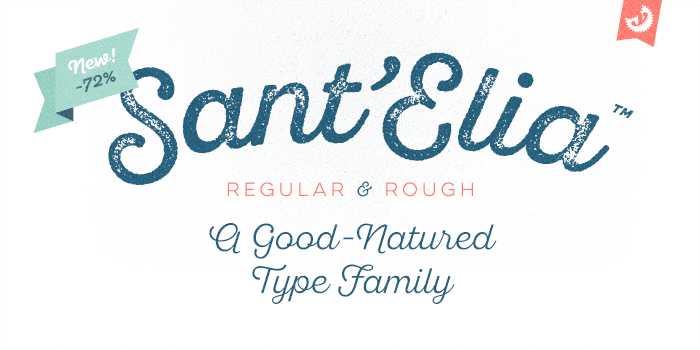 This is a gorgeous modern type family that has regular and rough versions in six weights. Rough weights include three different distress levels that can be mixed for added control and customization. Try Sant’Elia Rough Line, Line Two and Line Three for free!